"Thank you again for the magical week. The more time elapses, the more dreamlike the week becomes. And yet the "crack in time" hasn't lost any of its force or oracular palpability." "The space you held was so strong and allowed me to go very deep in letting go, and I am definitely feeling the results of that." "I am feeling much quieter in my soul, feeling as if my mother and her mother, long dead, are more at peace after having given them attention and love." "The week was an extraordinary experience and things already seem to have shifted in the family! " "I grew a lot and will have to take time to absorb it all, but the immediate effects were startling in themselves. I observed a vast change in myself and a deepening awareness as the week progressed." "The week was such an amazing experience and is such a miraculous vehicle of teaching its beyond words. " 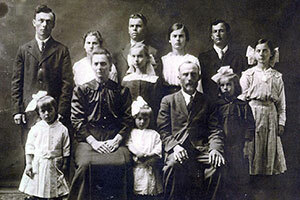 When ancestors or family members have died or left the family at a young age or under unusual or difficult circumstances  such as accidents, suicides, wars, addictions, emigrations, incarcerations, adoptions  these or other traumas of separation cause painful patterns of exclusion to be frozen in time, trapped in the unconscious field of the family, and can become like magnets, which later generations may be drawn unconsciously to repeat. Current family members might find themselves doing things which make no sense in the context of their own lives, until they discover which earlier family member they're "following." These inherited patterns create powerful unconscious compulsions. When you honour and restore the excluded ancestors or family members, however, you reestablish the integrity of the field, dissolving the trans-generational tendencies and liberating the living, their children and future generations. This work can be intense, oracular and profoundly healing and seems to restore aspects of the psyche closed to normal therapeutic methods. In her weekend workshops and full week workshops, Jill works with each person within the group using her unique method combining chant, ceremony and family constellations to heal the resonant fields of family and ancestors, unlocking persistent patterns so that order and joy is restored. People can come individually or with other members of their family, their family members do not need to be living, and you do not need to know much about your family, but if you have elderly relatives, its always good to ask them what they do know!